Alexandra Street Dental is your family dentist office in Sydney River! We look forward to welcoming you and your family at your next dentist appointment. Your family dentist office in Sydney River. Our dentists, Dr. Katherine Muise and Dr. Ronald Chafe, are committed to caring for the oral health of Sydney River. At Alexandra Street Dental, we provide general dentistry and emergency dental services, with an overall focus on dental services for the whole family including dental hygiene, fillings and extractions to help create and maintain healthy smiles for our Sydney River patients and their loved ones. 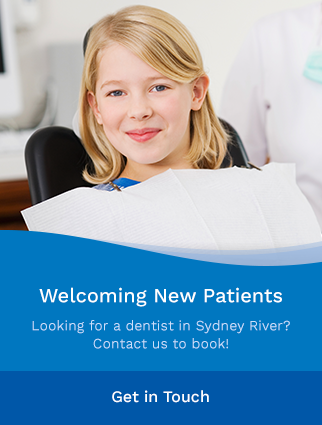 Our dentist office is conveniently located on Alexandra Street in Sydney River. We love our community and have been passionately serving our Sydney River patients for years. At Alexandra Street Dental, our patients always come first. Our friendly and welcoming dental team always strives to meet the needs of our valued patients. Our dentist office is also focused on providing family-friendly dental services, and children are always welcome! We work with our Sydney River patients to provide insurance and billing options that suit your needs and make sure you have the facts you need to make informed decisions about your oral health. Welcoming new patients – with a smile. Our dentists, dental assistants, hygienists and administrative support staff are always happy to welcome new patients to our office. Whatever your oral health needs, we're here to provide you and your family with the dental care and education you need to keep your smiles healthy. We look forward to meeting you! Get in touch to book your first dentist appointment with Alexandra Street Dental. Book an appointment today with Alexandra Street Dental.